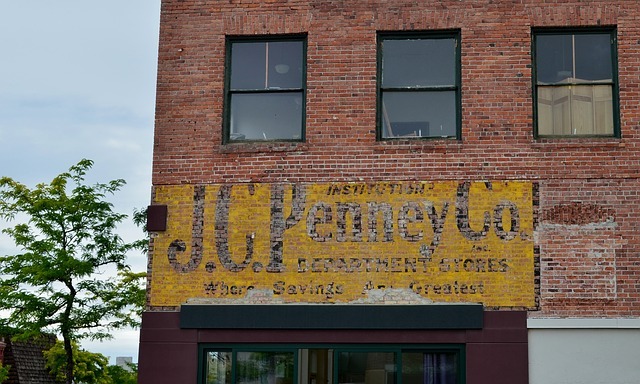 J.C. Penney was founded in 1902. It is about to close many of its stores. This decision follows the one made earlier this year by the company, when it decided to stop selling appliances in its stores. So far, J.C. Penney has declined to release a list of stores that it intends to close. There’s no way to know if the J.C. Penney stores near you are going to close or stick around for a while longer. Some customers may find that frustrating, because it makes it difficult to plan where and when to shop. What does this mean for frugal shoppers? It means you should shop the “Final Take Clearance Up to 80% Off” sale at J.C. Penney. The sale is good both in their brick-and-mortar stores and on the store’s website. Very few clearance sales offer 80% off items. There may be even bigger sales coming as the stores get close to closing. It also means that people who want to get new furniture should consider going to J.C. Penney to find it. The store nearest you might not be around for much longer. There’s a chance you may find good deals on furniture at stores that are secretly going to close soon. Do you have a J.C. Penney credit card? You may want to consider making an effort to pay off the amount you still owe on it. It is no fun to have debt on a credit card for a store that closed. Try to pay it down before the card becomes useless. March is National Frozen Food Month. 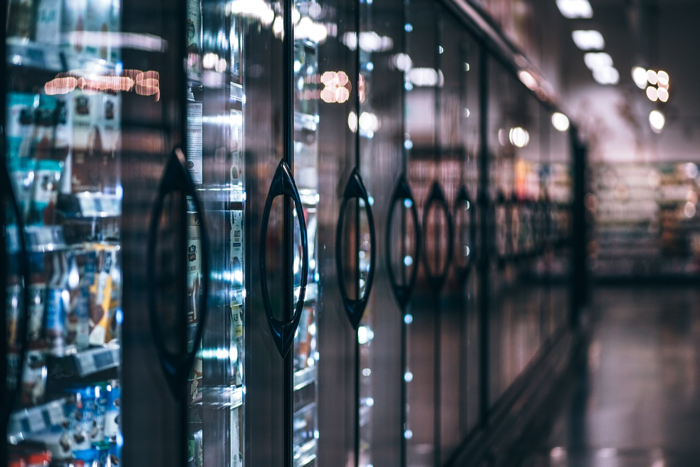 Every year in March, the National Frozen & Refrigerated Foods Association (NFRA) puts together a program that highlights frozen foods. You can save money on frozen foods from many brands in March! Coupons.com is participating in National Frozen Foods Month. You can expect to see digital coupons for the brands that are sponsoring this year’s program. Visit Coupons.com for more details about what kinds of coupons you can download and print out. In addition, you should look for coupons at the grocery store. The frozen food aisles might have a bunch of coupon dispensers for brands that want to attract customers during National Frozen Foods Month. The Easy Home Meals website has a lot going on for National Frozen Foods Month. You can find plenty of recipes that include frozen foods. There are also some tips about food waste and food safety. Easy Home Meals is doing a Giveaway and a Sweepstakes. You can enter the March Frozen Food Month $10,000 Sweepstakes from now through April 1, 2019. There are a total of 18 prizes, including a Grand Prize of a $1,000 supermarket gift card. Easy Home Meals also has a March Frozen Food Month Coupon Giveaway. Enter for a chance to win 1 of 12 coupon books for your favorite frozen foods products. You must enter by March 29, 2019. Every month, there are special deals and discounts that are only offered once a year. Buy things during those sales, and you will get the very best price. Here are some of the best things to buy in March. 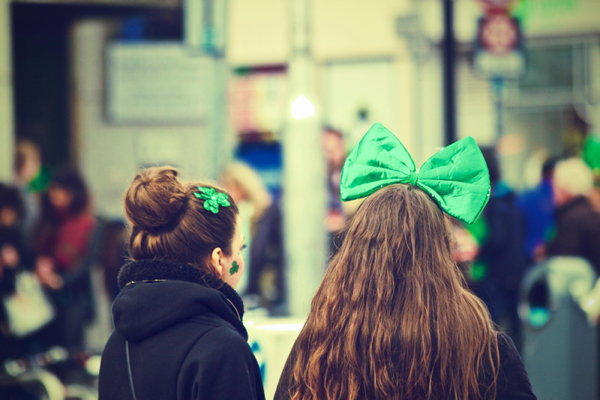 The biggest holiday in March is St. Patrick’s Day. Stores tend to start selling St. Patrick’s Day related apparel and accessories in the middle of February. The price tends to decrease the closer it gets to St. Patrick’s Day, so if you wait a bit, you can get a great discount. After St. Patrick’s Day is over, you can expect deep discounts on St. Patrick’s Day t-shirts, socks, hats, and decorations. Buy those now, and store them away for next year. March is National Frozen Foods Month. Shoppers can expect to see plenty of sales on frozen foods. Make sure to check all your favorite coupon resources for coupons from brands that your family loves. Those who have a grocery store’s loyalty card will find additional special deals on frozen foods. March is a good time to stock up on frozen foods that your family eats a lot of. Don’t go overboard, though! Frozen foods can stay good for a very long time – but not forever. All the video games that were released in time for Christmas are now a few months old. Those games are still as fun as they were when they were brand new. Video game enthusiasts will start to see discounts on those games in March. Look for packaged deals that include more than one game, or that include accessories. The best time to buy gardening tools is while snow is still on the ground. Prices will go up in Spring, when people can actually start working on their gardens. Plan ahead and figure out how many flower pots you need. Check your tools and see what needs to be replaced. 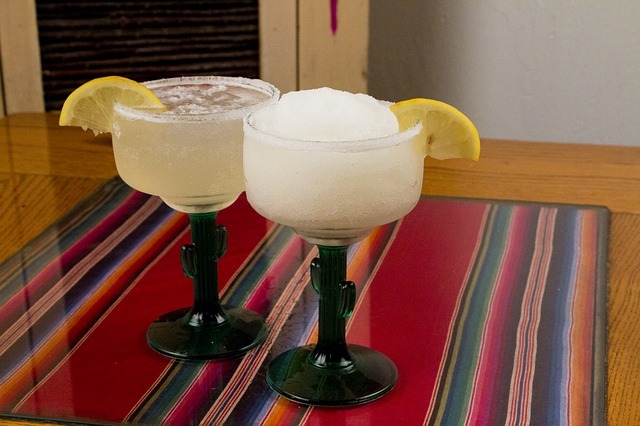 National Margarita Day is celebrated on February 22. It isn’t a National Holiday. You don’t have to spend an excessive amount of money to celebrate National Margarita Day. A Margarita is a cocktail consisting of tequila, orange liqueur, and lime juice. It often is served with salt on the edge of the glass. This drink is served shaken with ice, blended with ice, or without ice. In general, making beverages at home is less expensive than buying the same drink at a bar or restaurant. Do some price checking at your local grocery store and find out which one sells Margarita mix for the best price. Pick up ingredients for dinner while you are there. Make tacos and Margaritas at home, and you will get the most for your money. Not interesting in cooking? Another good way to celebrate National Margarita Day is at a local Happy Hour. Bars and restaurants that hold Happy Hours offer a limited variety of food and drink for a cheaper price than usual. Chances are, the bar will know that February 22 is National Margarita Day. They are likely to put Margaritas in their Happy Hour selections. Restaurants might nor might not be aware of the holiday. Places that are celebrating National Margarita Day will want to attract as many people as possible. You might see advertisements on social media for places that are local to where you are. Another option is to check the social media pages and websites for places you want to celebrate at. Find out what time their Happy Hour will run. Compare the prices – and the offerings – of the various places. One of them is going to have the best deal! 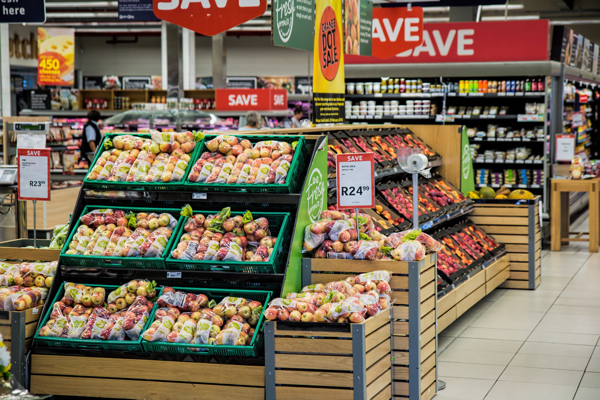 Want to lower the cost of your grocery bill? You probably are checking the store’s sales, using coupons, and getting special deals from the loyalty card. There are other simple ways to prevent your grocery bill from becoming too expensive. It doesn’t take very long to put together a list of the groceries and household items that you need to purchase. Take the list with you to the grocery store – and stick to it. A list can make it easier to say “no” when you consider buying something that you do not need. Start with the produce section. Pick up the fruits and vegetables that you need. Go around the edges of the store and shop from the meat, dairy, and egg department. This is an easy way to get most of the items that are on your grocery list without being distracted. Endcaps are the small sections of shelves that are on the end of every aisle. The groceries there are often on sale. For example, if it is near Thanksgiving, and the endcap has boxes of stuffing, go ahead and pick it up. Products on endcaps are intended to attract customers and increase sales of that product for the store. Those products are often “junk food” items that you probably don’t need. It is ok to ignore the endcaps. Do your kids grab things and put them into the grocery cart? One way to stop that is to walk down aisles with products that don’t appeal to them. Plan your route to the back of the store by going through the cleaning product aisle or the baby food aisle. Your kids are unlikely to put laundry detergent or diapers into the shopping cart. J.C. Penney is getting out of the appliance business. This could be a good time to purchase an appliance to replace one that is getting old or has stopped working. 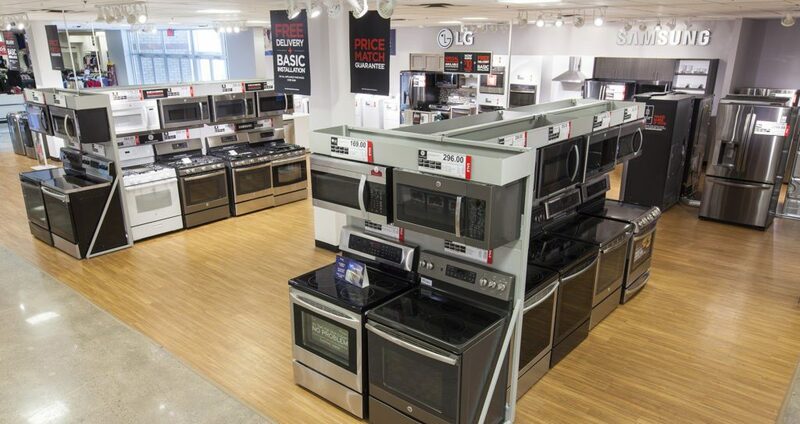 There’s a chance you could get a nice discount on a brand new appliance. J.C. Penney posted a blog on its company website that has more details. J.C. Penney will discontinue selling major appliances effective February 28, 2019. In addition, the company will also stop selling furniture in its stores. (The exception being some stores that are located in Puerto Rico). Furniture will continue to be available on the J.C. Penney website. The company will also continue to sell mattresses through its website, and in 450 J.C. Penney stores. J.C. Penney said that customers can purchase major appliances in stores and online through February 28, 2019, and receive free basic delivery and installation on new model purchases over $299. All protection plans and manufacturer’s warranty agreements will remain in effect for the applicable warranty period. It is a good idea to check your budget before you buy something large – like a brand new appliance. Avoid putting it on your credit card if at all possible. You may find the perfect appliance at J.C. Penney, for a good price. But, you won’t end up saving money if you can’t pay it off the total on your credit card before the next bill is due. Make sure to ask questions about what the warranty offers. How long will it last? What does it cover? Who should you contact if your brand new appliance breaks during the warranty period? You might be able to contact the store, if it is still open. Or, you may need to talk to the company that manufactured the appliance.